The 6th OMNeT++ Community Summit (OMNeT++ 2019) will be held at the Hamburg University of Technology from Wednesday to Friday, September 04-06, 2019. The OMNeT++ Community Summit is an open meeting with time and space for tutorials, discussions, coding sessions as well as presentations on recent developments and novel ideas in the broad area of modeling and simulation, with a focus on the OMNeT++ simulation framework. To facilitate the interaction among participant, we introduce this year a novel presentation format called ConversTations. It is a highly interactive format, which provides much more feedback and useful discussion time than traditional talks. Paper submission deadline: July 1, 2019. Hackathon. Following the success of 2018’s edition, the 2019 Community Summit will include a hackathon event. This provides the chance for developers of simulation models and frameworks to consult and work together with OMNeT++ core developers and fellow developers to improve the quality and interoperability of models and frameworks. Project proposal deadline: August 10, 2019. As part of our efforts to improve the web site and serve the community better, we have recently redesigned and expanded our simulation models download page, and turned it into a model catalog. The resulting Simulation Models and Tools page is easy to browse, can be conveniently filtered and searched, and in general, makes it significantly easier to find what you are looking for. We would like to ask for your help to improve the accuracy and the completeness of the catalog. If you have a few minutes to spare, please review the entries on the models or tools you are familiar with, and let us know if you find any errors or omissions. 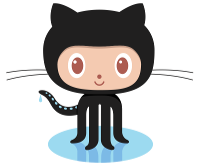 The OMNeT++ source code repository is now available on GitHub as omnetpp/omnetpp. This allows anyone to browse the development history, and follow the development of new versions as it takes place. Making the repository open has been a long-standing wish of several community members, and we hope that it will be beneficial for all parties involved. We also switched to using the GitHub’s issue tracker for OMNeT++-related issues. The contents of the existing Mantis-based issue tracker has been migrated to GitHub. The old issue tracker is still online, but runs in read-only mode. Unfortunately, reporter/commenter names could not be migrated, so if you’ve been watching an issue, you’ll need to manually subscribe to notifications of the corresponding issue on GitHub. Welcome to our new website! We have decided to re-create the OMNeT++ website with a different technology, to improve its speed and usability. The new website is statically generated and hosted on GitHub, which will considerably improve its speed. Additionally, the download files are no longer hosted on the website directly, but instead they are available on IPFS (Interplanetary File System). We still provide an HTTP gateway for the file downloads, to make it easy to download the files using only a browser. The switch to IPFS also allowed us to remove the captcha requirement, making it possible to perform downloads using command line tools like wget. Check out the TicToc tutorial, browse the documentation and the model catalog. Watch introductory videos, and explore the featured network simulation projects (see banner). If you have OMNeT++ related programming questions (or want to help other members of the community), visit stackoverflow and use the [omnet++] tag.